Common Skin Problems: Acute / Chronic eczema; Atopiceczema; Urticaria; Atopic dermatitis; Dyshidrosis; Seborrheic Dermatitis; Tinea;Hand eczema; Psoriasis; Acnes; Blackspots & freckle; Dry skin ,etc. Many people choose to increase the vegetable intake but meanwhile reduce the meat intake aiming at losing weight. However, this kind of approach & diet may cause harm to your body such as weight gain, dry skin and irregular menstruation.
. If this kind of people keeps eating the vegetables that are cold in nature, it will cause a harm of spleen as well as deficiency-cold in the long term. In addition, a sudden weight gain will also occur due to the water retention. To conclude, there’s no benefit to your body! 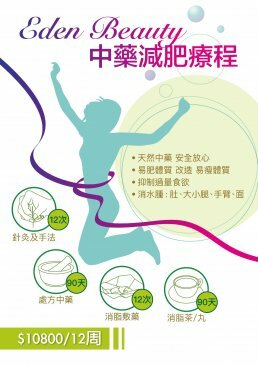 Therefore, this program aims at improving your body constitution by consuming the herbal medicines that can strengthen the spleen and dispel dampness so as to lose weight in a more appropriate way. Our registered practitioners will do pulse-check and prepare the medical prescription for you after consultation each time. One day you will find yourself changing to an easy-to-get-thin type from an easy-to-get-fat type by improving the body constitution. 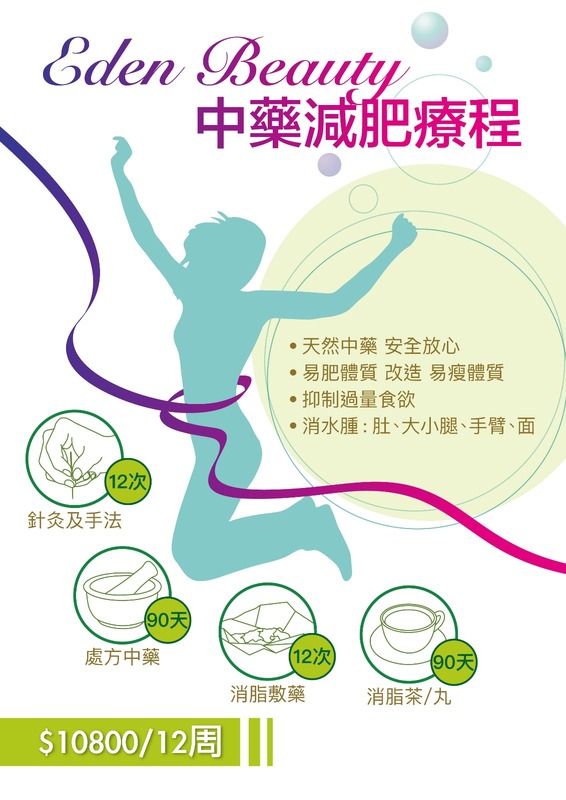 It’s proven that acupuncture has significant effects on weight lost in many Western studies. In TCM theory, acupuncture found effective for stimulating satiety & hunger center of the brain so as to reduce one’s appetite. ** Join the designated program to enjoy 20% discount and it costs $10,800 after discount. * Common Skin Problems: Acute / Chronic eczema; Atopiceczema; Urticaria; Atopic dermatitis; Dyshidrosis; Seborrheic Dermatitis; Tinea;Hand eczema; Psoriasis; Acnes; Blackspots & freckle; Dry skin ,etc. # A WARM REMINDER: The program is not compulsory for patients and credit card payment is not accepted. We recommend you to consider twice before participation because it needs your commitment and patience to wait until your prayer is being answered.